pace and stopped for a few seconds and then hurried to meet his schedule. without stopping, continued to walk..
collected a total of $32. appreciate it? Do we recognize talent in an unexpected context? ever made.... How many other things are we missing? 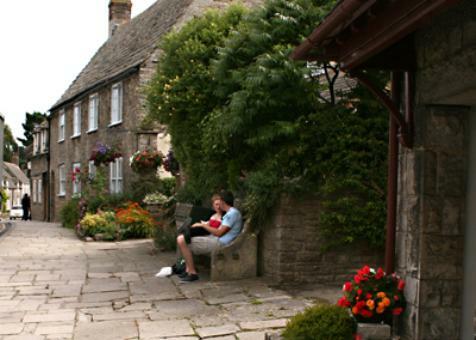 Village Scene - Corfe, Dorset, England. Beauty is all around us but do we give ourselves time to see it? Thanks to Jan Delgado for sending this.